The radio competition is getting tougher in the Brong Ahafo Region, most especially its Capital of Sunyani as the Sun City has given birth to another Radio Station. There is currently a new Radio station on Test Transmission in Sunyani as listeners can tune in to 88.1 MHz. Our sources tell us that the name of this new station will be "Sunyani FM". We can confidently disclose that the station is a subsidiary of the Class Media Group, operators of Accra FM, Kumasi FM, Adeshye FM in Kumasi. 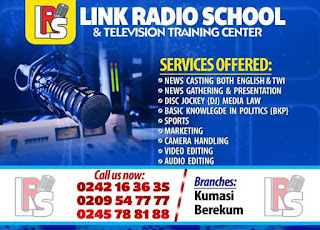 Radio Managements in the Brong Ahafo region should get prepared for a keen competition because there are about Five (5) new stations hitting Sunyani within this year.